Pitino, the highest-paid college basketball coach and already in the Naismith Hall of Fame as the only coach to lead teams from two schools to the NCAA National Championship, is the biggest head to fall so far in the NCAA recruiting scandal. The FBI has accused Adidas of funneling money to the families of two Louisville recruits to persuade them to attend Louisville, endorse Adidas when they turn pro, and hire specified agents or advisers to represent them when the join the NBA. In September, federal prosecutors in New York unsealed charges against 10 men alleged to be involved in NCAA basketball bribery, including coaches and Adidas executives. Enormous sums of money are involved. The University of Louisville recently negotiated a 10-year, $160 million contract with Adidas, according to the Louisville Courier-Journal, and the university was believed to owe Pitino $40 million on his unexpired contract before it fired him. Adidas paid Pitino more than $2 million in past year, according to a USA Today report on NCAA coach salaries. Pitino was placed on administrative leave in June and suspended in September, after the NCAA recruiting scandal became public. Adidas terminated its service contract with Pitino on Monday, hours after he was fired. In his federal lawsuit, Pitino says Adidas — not he — was responsible for the “pay to play” bribery. “Coach Pitino swears that he had nothing to do with, and no knowledge of, the Adidas conspiracy,” Pitino’s attorney Steve Pence told the Courier-Journal on Tuesday. “If true, I agree with the U.S. Attorney’s Office that these third-party schemes, initiated by a few bad actors, operated to commit a fraud on the impacted universities and their basketball programs,” Pitino said in a statement through his attorney. The FBI investigation is believed to involve top recruit Brian Bowen, the small forward for the Louisville Cardinals. His family allegedly agreed to take $100,000 in exchange for his commitment to the university. Pitino says he believes he is the “Coach-2” named pseudonymously in the FBI complaint, and that Adidas is “Company-1.” “University-6” is believed to be Louisville. Pitino does not identify Bowen in his 15-page lawsuit, but refers “UL Recruit-10,” as does the FBI complaint. Though not named as defendants, Pitino says in his lawsuit that Adidas employees James Gatto and Merl Code were involved in the bribery, but not him. Gatto is the head of global sports marketing for Adidas’ basketball division. Code, a former Clemson University basketball player, works with the company’s high school and college programs. 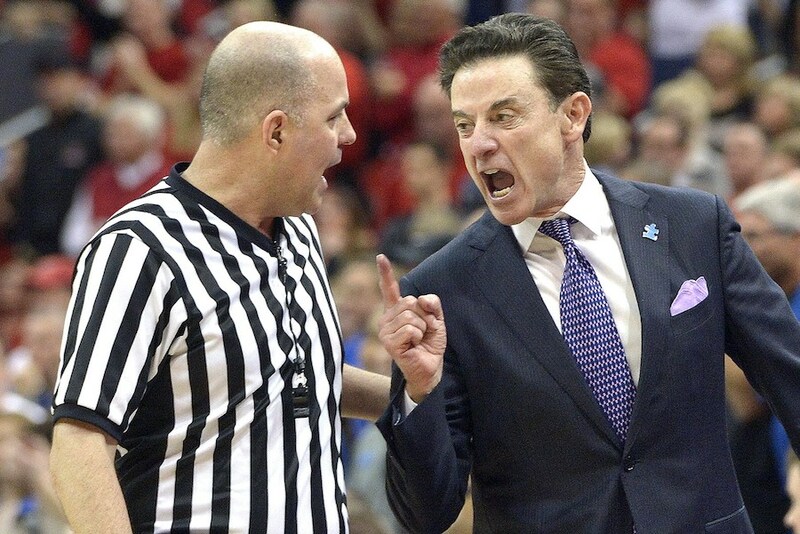 Pitino seeks punitive damages for the tort of outrage. “Adidas knew, or recklessly avoided knowing, that Coach Pitino’s reputation for honesty and integrity would be seriously damaged by the perception – even if unfounded – that he was involved with the illegal and wrongful payment of money to recruits, or on their behalf,” the complaint states. Pitino is represented by Stephen Pence with Pence & Whetzel and Michael Valenti with Valenti Hanley, both in Louisville. The bribery scandal is one of several the University of Louisville has faced in recent years. President James Ramsey stepped down last year amid allegations that the university misused federal money and paid for escorts and strippers for players and recruits.